For other uses, see Field artillery (disambiguation). The Field Artillery is a combat arms branch of the United States Army. The U.S. Army Field Artillery branch traces its origins to 17 November 1775 when the Continental Congress, unanimously elected Henry Knox "Colonel of the Regiment of Artillery". The regiment formally entered service on 1 January 1776. During the 19th Century a total of seven Artillery regiments were formed which contained a mixture of "heavy" artillery companies and "light" artillery batteries. The light artillery batteries took the role of field artillery although they did not use that designation. The seven artillery regiments were designated as regiments of artillery and were not distinguished as being either "coast" or "field" artillery as was the practice in the 20th Century. In the reorganization of the Army by the Act of February 2, 1901, the seven Artillery regiments were reorganized as the Artillery Corps. The Corps was split into 195 battery-sized units, called companies at the time, of Field Artillery and Coast Artillery. In 1907 the Artillery Corps was reorganized into the Field Artillery and the Coast Artillery Corps. Although presently Field Artillery and Air Defense Artillery are separate branches, both inherit the traditions of the Artillery branch. In 1907, the Field Artillery companies of the Artillery Corps were organized into six Field Artillery regiments. In 1916, as the United States was preparing for its eventual entry into World War I, these six regiments were supplemented by 15 more Field Artillery regiments. During World War I numerous other Field Artillery Regiments were organized in the National Guard and National Army, which were mobilized to supplement the Regular Army. In 1924 the Army organized the Coast Artillery Corps into regiments. The first seven regiments retained the lineage of the seven Artillery regiments which existed in the 19th Century. The Coast Artillery Corps was disbanded in 1950 and its units were consolidated with the Field Artillery in the Artillery branch. In 1968 the Artillery branch divided into Field Artillery and Air Defense Artillery branches with the newly formed 1st through 7th Air Defense Artillery regiments retaining the lineage of the seven 19th Century artillery regiments. Although the oldest Artillery regiments in the Army are in the Air Defense Artillery branch, this is not necessarily the case individual units below the regimental level. For example, the 1st Battalion of the 5th Field Artillery traces its lineage to the Alexander Hamilton Battery , formed in 1776, which is the oldest Artillery unit in the active United States Army and is the only Regular Army unit which can trace its lineage to the American Revolution. The oldest Field Artillery unit in the U.S. Army is 1st Battalion, 101st Field Artillery, which traces it origins to December 1636. Originally an Infantry unit, it was reorganized as an Artillery unit in 1916. The term field artillery is to distinguish from the Air Defense Artillery, and historically, from the U.S. Army Coast Artillery Corps (or Coastal Defense Artillery), a branch which existed from 1901–1950. In 1950, the two branches were unified and called simply Artillery, until Air Defense Artillery was made into a separate branch in 1968. The insignia of the Field Artillery branch is a pair of crossed field guns (19th-century-style cannons) in gold, and dates back to 1834. The home of the Field Artillery and the Field Artillery School are at Fort Sill, Oklahoma. Field artillery is called the "King of Battle". Conflicts in the 20th century saw artillery become exponentially more effective as indirect fire methods were introduced immediately prior to World War I. During World War I and World War II, field artillery was the single highest casualty-producing weapons system on any battlefield. Members of the Field Artillery are referred to as "redlegs" because during the Mexican American War, both Ringgold's Battery and Duncan's Battery were issued uniforms distinguished by scarlet stripes down the legs of their uniform pants, a practice continued through the Civil War and on dress uniforms even after WWI. Red was established as the Artillery Branch color along with crossed cannon branch insignia in the Regulations of 1833. Branch colors are found on the shoulder straps of officers wearing the blue dress uniform and on branch of service scarves authorized for wear with a variety of uniforms. Redlegs have often been used as infantry during both the Iraq War and the War in Afghanistan. While field artillery units have often performed admirably as infantry and accomplishing infantry missions, such use has led to atrophy of essential field artillery specific skills and tasks. From 1920 to 1942, the Field Artillery corps was led by a branch chief who held the rank of major general. This was in keeping with the Army's other major branches, including infantry, cavalry, and coast artillery. Each chief was responsible for planning and overseeing execution of training, equipping, and manning within his branch. From 1903 to 1908, one Chief of Artillery oversaw both field artillery and coast artillery. After 1908, one general served as Chief of Coast Artillery. After 1920, the Chief of Coast Artillery was joined by the Chief of Field Artillery. The branch chief positions were eliminated in 1942, and their functions consolidated under the commander of the Army Ground Forces as a way to end inter-branch rivalries and enable synchronized and coordinated activities as part of World War II's combined arms doctrine. The professional journal of the Field Artillery is published at Fort Sill. Known as the Field Artillery Journal in 1911, it went through many name changes through Field Artillery in 1987. The journal merged with Air Defense Artillery in 2007 to become Fires. M270A1 Multiple Launch Rocket System (MLRS), a self-propelled launcher capable of firing 270mm rockets or Army Tactical Missile System (ATACMS) missiles. test case for the acquisition process of the U.S. Army. In 1789 after the Revolution there was only one battalion of four companies of artillery. In 1794 a "Corps of Artillerists and Engineers" was organized, which included the four companies of artillery then in service and had sixteen companies in four battalions. In 1802 there was a reduction of the army. The Artillery were separated from the Engineers and the former formed into one regiment of 20 companies. In 1808 a regiment of ten companies called the "Regiment of Light Artillery" was formed. In 1812 two more regiments were added. In 1907 the Coast Artillery Corps was established as a separate branch, and the Field Artillery re-established regiments officially, although provisional regiments had existed since 1905. In 1916 Congress enacted the National Defense Act and 15 more regiments were authorized. 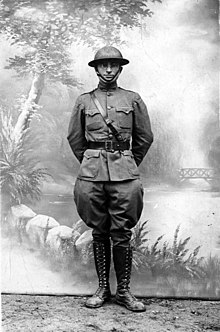 In 1917, following the American entry into World War I, the numbers from 1 through 100 were reserved for the Regular Army, from 101 through 300 for the National Guard, and 301 and above for the National Army. Under this system the 1st through 21st and 76th through 83d were organized in the Regular Army; the 101st through 151st, in the National Guard; and, the 25th through 75th, 84th and 85th, and the 301st through 351st in the National Army. Field Artillery Brigades, numbered 1st through 24th, 51st through 67th, and 151st through 172d, were also organized, with each brigade typically commanding three regiments; each division had one of these artillery brigades. A 1918 expansion added the 22d Field Artillery Regiment through the 39th Field Artillery Regiment with some exceptions, notably Philippine Scouts units. The Coast Artillery Corps constantly reorganized the numbered companies until 1924, but during World War I created 61 artillery regiments from the numbered companies, for service (or potential service) with the American Expionary Forces (AEF); the 30th through 45th Artillery Brigades were also created to command groups of these regiments. These regiments operated almost all US-manned heavy and railway artillery on the Western Front, and were designated, for example, 51st Artillery (Coast Artillery Corps (CAC)). Most of these were disbanded immediately after the war. The Coast Artillery also acquired the antiaircraft mission during the war, which was formalized a few years later. In 1924 the Coast Artillery Corps adopted a regimental system, and numbered companies were returned to letter designations. (In order to promote esprit-de-corps, the first 7 regiments were linked to the original 7 regiments of artillery). During 1943 most antiaircraft units lost their Coast Artillery designations, and the regiments were broken up into battalions. However, the antiaircraft branch remained nominally part of the Coast Artillery Corps. In late 1944 the Coast Artillery harbor defense regiments were inactivated or reorganized as battalions, which themselves were mostly disbanded in April 1945, with personnel transferred to the local Harbor Defense Commands. 977 Coast Artillery and antiaircraft battalions were created before the branch's demise in 1950. The Army Anti-Aircraft Command ARAACOM was created July 1950, and in 1957, ARAACOM was renamed to US Army Air Defense Command (USARADCOM). A new system, the U.S. Army Combat Arms Regimental System, or CARS, was adopted in 1957 to replace the old regimental system. CARS used the Army's traditional regiments as parent organizations for historical purposes, but the primary building blocks are divisions, and brigades became battalions. Each battalion carries an association with a parent regiment, even though the regimental organization no longer exists. In some brigades several numbered battalions carrying the same regimental association may still serve together, and tend to consider themselves part of the traditional regiment when in fact they are independent battalions serving a brigade, rather than a regimental, headquarters. From circa 1959 through 1971 antiaircraft units and field artillery units were combined with common parent regiments for lineage purposes, for example the "1st Artillery". In 1968 the Air Defense Artillery Branch (United States Army) was split from the artillery, with the Regular Army air defense and field artillery regiments separating on 1 September 1971. The CARS was replaced by the U.S. Army Regimental System (USARS) in 1981. US Artillery Structure 1989. On 1 October 2005, the word "regiment" was formally appended to the name of all active and inactive CARS and USARS regiments. So, for example, the 1st Cavalry officially became titled the 1st Cavalry Regiment. During the Cold War the Field Artillery was responsible for all mobile ballistic missile weapons systems, including the Lance and Pershing II ballistic missiles. The Field Artillery consists of several AOC/MOS, including: one commissioned officer AOC, and one warrant officer and six enlisted MOS, which all work together to form the Field Artillery team. Berry Gordy, founder of Motown Record Corp.
Alexander Hamilton, Founding Father of the United States and first Secretary of the Treasury. ^ ADRP 3-09 - Fires (PDF). Official Department of the Army Publications and Forms - Doctrine and Training Publications (C1 ed.). United States Department of Army. 8 February 2013. pp. 1–3. Retrieved 3 March 2015. ^ Taylor, John E.; Andrews, Patricia (1962). Preliminary Inventory of the Records of the Chiefs of Arms. Westminster, MD: Heritage Books. pp. 2–3. ^ a b c d e Preliminary Inventory of the Records of the Chiefs of Arms, pp. 2-3. ^ Cameron, Robert S. (2008). Mobility, shock, and firepower: The Emergence of the U.S. Army's Armor Branch, 1917-1945. Washington, DC: Center of Military History, United States Army. p. 472. ISBN 978-0-16-079417-9. Ewing, David (1975). Field Artillery, 1954–1973. Department of the Army. Heitman, Francis B. (1903). Historical Register and Dictionary of the United States Army, 1789-1903, Vol. 1. Washington, DC: Government Printing Office. McKenney, Janice E. (2010). US Army Center of Military History (CMH) Publication 60-11, Army Lineage Series, Field Artillery, Parts 1 & 2. Washington, DC: US Army Center of Military History.